Detoxification is the beginning of recuperation from ecstasy abuse, and the primary aim of detox is to bring the brain and body back to a level of ‘normal’ functioning by expelling ecstasy and its influence from the body completely. Higher levels of mental and emotional functioning. Thus, making a person more receptive to ongoing recovery efforts like counseling and cognitive behavioral therapy. Preventing relapse by closely monitoring and managing ecstasy withdrawal symptoms. Detox begins the process of healthier coping through a substance-free life. If you or a loved one need ecstasy detox, please call 1-888-993-3112Who Answers?, where an experienced support specialist is available to guide you to the most beneficial detox option available in your area. Whether an individual is using other drugs and/or alcohol in combination with ecstasy. The use of multiple substances enhances the intensity of withdrawal. Co-existing physical or mental conditions. 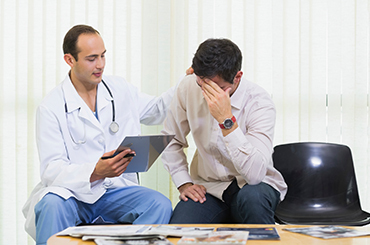 People with psychiatric conditions can experience an exacerbation of symptoms, like increased confusion, depression, panic and psychosis that necessitate medical management. These can complicate ecstasy detox and one should consult with an addiction treatment professional before beginning detox. Health problems that develop due to long-term ecstasy use. E.g., dehydration, kidney and heart problems, brain damage and seizures. Without medical supervision, these issues can greatly compromise safety during detox. psychological consequences of ecstasy abuse or those who have compromised physical health profiles. In these cases, a medically supervised detoxification regimen is highly recommended because a structured therapeutic environment can provide support at the optimal level of intensity and consistency. Medical monitoring and treatment can ease the symptoms of withdrawal and can dramatically increase the chances of successfully completing detox. For example, pain relievers; anti-nausea medication, anti-depressants, sedatives or antipsychotics may be used temporarily if certain symptoms arise. Consultations with caregivers, coping techniques and counseling sessions also increase the chances of detox completion. There are no specific medications or detox protocols used for ecstasy detox. It is often the combination of withdrawal symptoms—each not dangerous in themselves—that can make detox very uncomfortable. The discomfort always increases the risk of craving and mental preoccupation with ecstasy. Consequently, there is a high risk for ecstasy users to leave treatment before detox is completed. Ecstasy detox can be an uncomfortable process. However, an addiction treatment center can provide you the help you need to complete detox as comfortably as possible. If you need help for yourself or a loved one you can talk with an addiction treatment support team member at 1-888-993-3112Who Answers? to find the right ecstasy detoxification treatment option in your area. Depersonalization (where a person loses their sense of self or identity). Ecstasy detox can be a long process, but there are milestones of improvement along the way. Ecstasy detox can be a long process, but there are milestones of improvement along the way. Typically, psychological symptoms can linger the longest as the brain adjusts to abstinence. Depression, anxiety and sleep problems are the most commonly tenacious symptoms. 30, 60 or 90-day treatment stays are most effective for resolving symptoms and preventing relapse. Ecstasy detox treatment varies between individuals, and a treatment plan will be individualized for you or your loved one. When a course of treatment is developed and recommended, physical health and psychiatric concerns are taken into consideration, as is the severity of ecstasy use. Treatment centers provide 24-hour support, respite away from one’s ‘using environment’ and opportunities to consult with addiction professionals about further recovery efforts after detox. There are many options available for ecstasy detox. These include outpatient services and addiction treatment center stays. Due to the psychological difficulty of detoxing from ecstasy at home, a treatment center stay is the usual recommendation. Private treatment settings with luxury accommodations in resort-like locales. Executive accommodations that allow business contact to continue during treatment. Effective, affordable treatment programs with fewer amenities in your area. It is important to remember that detox is not a complete treatment. It is important to remember that detox is not a complete treatment. When the acute symptoms of ecstasy withdrawal have eased, it is beneficial to continue with individual and group counseling, addiction education, and relapse prevention planning. It is wise to consult with an addiction treatment professional about the best detox option for you or a loved one. Be sure to discuss the extent of ecstasy abuse, symptoms experienced so far, as well as mental and physical health issues so that proper recommendations can be made for a safe and successful detox. Ecstasy abuse can seem like a debilitating problem with no end in sight, but once you are enrolled in a detox program, the battle becomes easier. Our treatment support team can provide guidance on choosing an ecstasy detox treatment that suits your needs. Please call today at 1-888-993-3112Who Answers?.